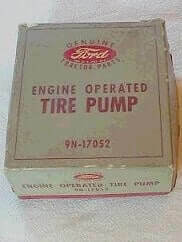 Original Ford tractor accessory tire pump. Get out in the south forty and realize you have a low tire? No problem! 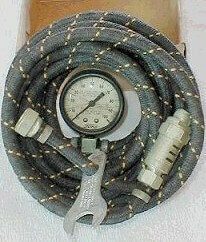 Remove a spark plug, screw in the tire pump, and let your tractor engine pump it back up for you.